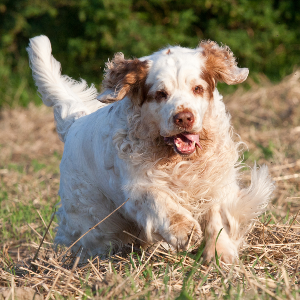 The Clumber Spaniel is considered by many to be the largest of all spaniels. Intelligent, playful, usually friendly dogs with a sweet nature. Good family dogs, but may be reserved with or suspicious of strangers. 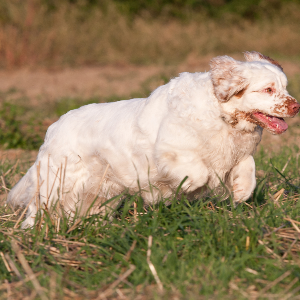 Quite food motivated, which can help in training the Clumber Spaniel to relinquish inappropriate retrieved items. Enjoys activities that take advantage of its keen sense of smell and retrieving abilities like tracking and hunting; are good swimmers. 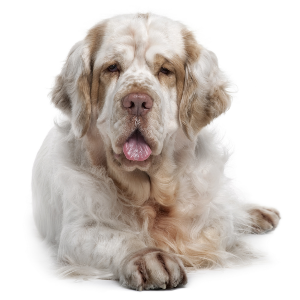 Docile and dignified, the Clumber Spaniel is considered by many to be the largest of all spaniels. Bred by the Duke of Noailles in the mid-1700s, they were built for hunting in dense cover. During the French Revolution, the dear Duke feared not just for his life, but the lives of his spaniels too. So he sent them across the channel to the 2nd Duke of Newcastle, who lived on an English estate called Clumber Park. 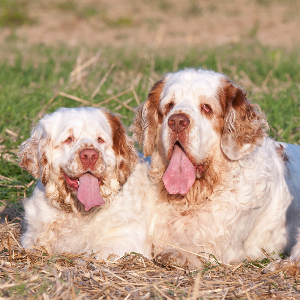 Over time, the Clumber Spaniel became popular with many aristocrats. 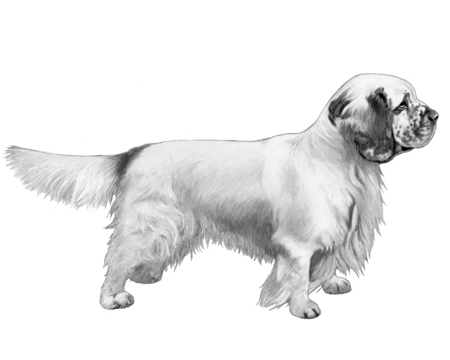 They arrived in the United States in the late 1800s and the first dog was registered with the American Kennel Club in 1878. 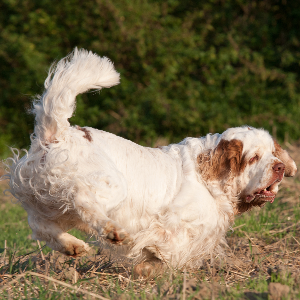 A well travelled breed – and one that’s also well loved.